Our Leadership Team oversees the day to day running of the charity and the work we do for our young carers and their families. Ele Semadeni is Operations Lead, managing the whole team. Ele has seen the charity grow from a small team of staff members to the vibrant and busy team it is today. 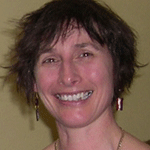 She took the helm from co-founder Helen Predgen-Lay whom she worked in partnership with for many years. Her calm approach and commitment to frontline work has steered the charity to a whole new way of working, now supporting more than 1000 young carers with a team of 21 staff plus group workers. 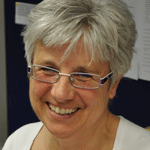 Mandy Bell has also been with Gloucestershire Young Carers since the early years. She is Development Lead for Mental Health and Substance Misuse work, overseeing the support in place for children of families with mental ill health. 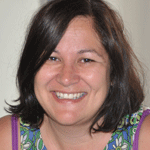 Mandy has a wealth of knowledge in this complex field and has travelled to Australia and Ireland to share knowledge and working practice in the field of parental mental ill health. Michelle Hitchings is the Finance & Facilities Manager, crunching numbers all day long. She keeps a close eye on the charity’s accounts as well as the raft of policies and procedures that are in place to ensure the smooth running of services. Michelle, known to us as Shelly, has the tough challenge of having to constantly amend and adapt budgets to suit the changing face of youth services, funding shifts and increasing demands upon the charity’s limited services. 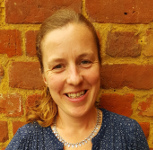 Hana Gill is our Development Manager responsible for overseeing Gloucestershire Young Carers’ innovative work with schools and GPs’ surgeries across the county. She manages the effective Young Carers’ Forum which, co-run by her team colleagues, enables young carers to have their voice heard by leading decision makers, whilst developing their skills, confidence and engagement. She also oversees our specialist work with Young Adult Carers, a group that can fall through the gap between young carer and adult carer services. Hana gained solid experience of voluntary sector management/ development and working with vulnerable young people and families in her 10 years at London based charity Love to Learn. We have a team of dedicated staff, all with their own areas of expertise. Our Trustees are the foundation of our charity. They oversee the Leadership Team’s development and implementation of strategies and policies, ensuring that we are remaining true to the objectives set out by our charity in 1993. They make sure we are offering the most appropriate and efficient service for our young carers and their families.